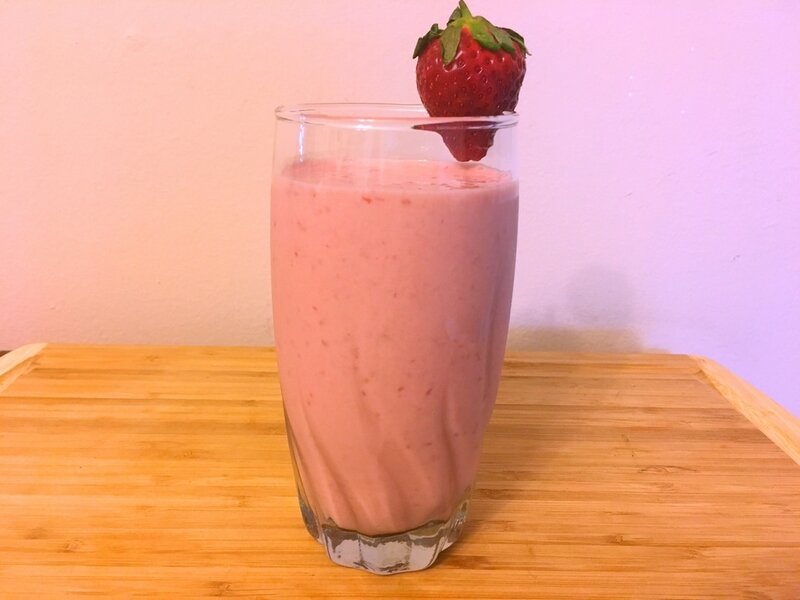 Strawberry Banana shakes are a common and loved drink by many. 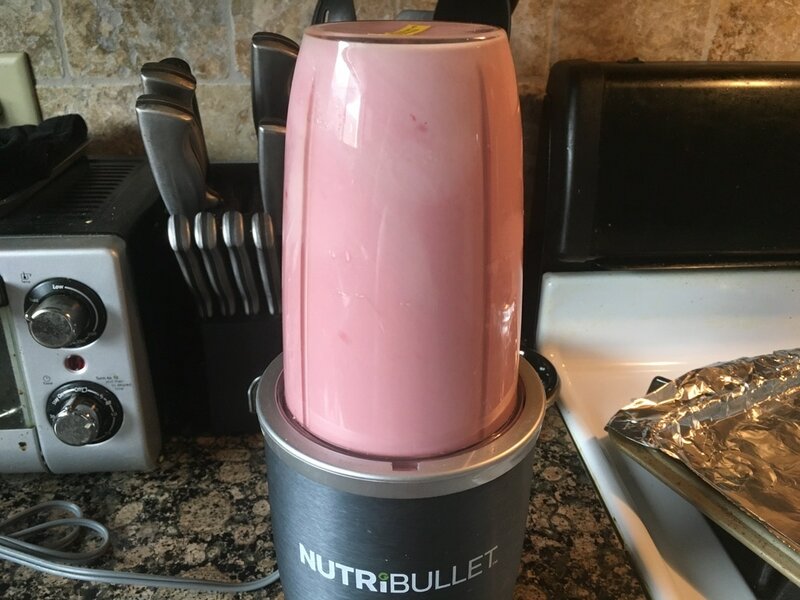 The two main ingredients are obviously strawberries and bananas. The additional contents are what tend to vary. I have had this several different ways but one of my favorite variation is using the “Ju Papay” method without the papaya. When the weather is right, the sun is shining bright, and you’re in the mood for a nice cold shake, give this one a try! 1. Although this step is not necessary, I prefer using frozen strawberries. 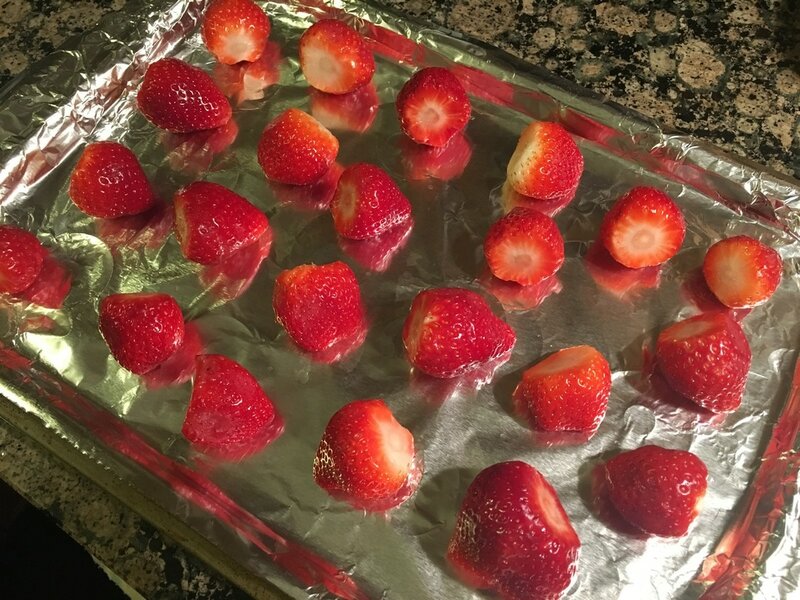 After removing the leafy ends and washing them thoroughly, place strawberries on a parchment lined baking sheet and place it in the freezer until frozen. Afterwards, you can place any unused strawberries in a zip lock bag and store in the freezer to use as needed. This method keeps the strawberries from freezing together as one massive clump. If you decide to use fresh strawberries in place of frozen, just substitute the cold water in the next step for ½ - 1 cup of crushed iced. *I ran out of parchment paper and used foil. They both work the same but I prefer parchment when possible. ​2. 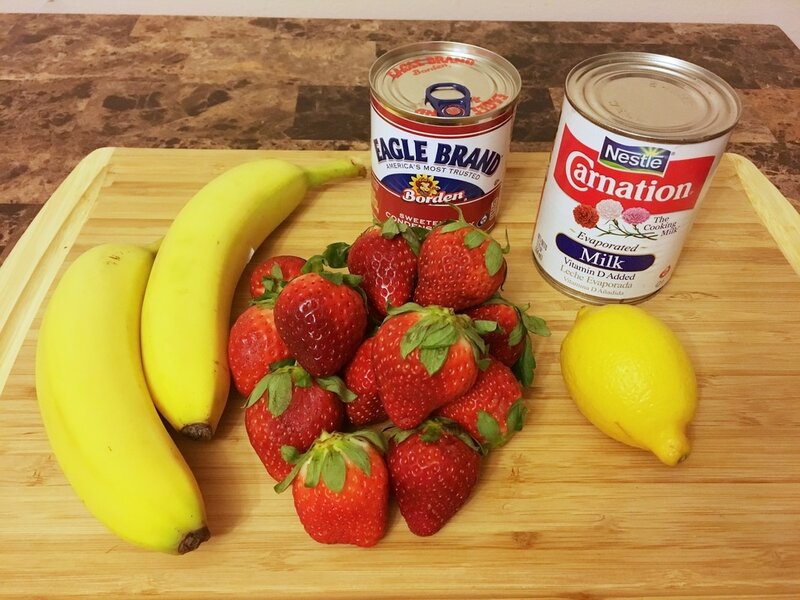 Using only half of the strawberries (about ½ a pound), place it in a blender along with the remaining ingredients: 2 bananas, 1 cup of carnation/evaporated milk, ½ cup of cold water, 2 tbsps. of sweetened condensed milk OR granulated sugar, ½ tsp. of lemon juice, ¼ tsp. of vanilla OR almond extract, and a pinch of salt. 3. 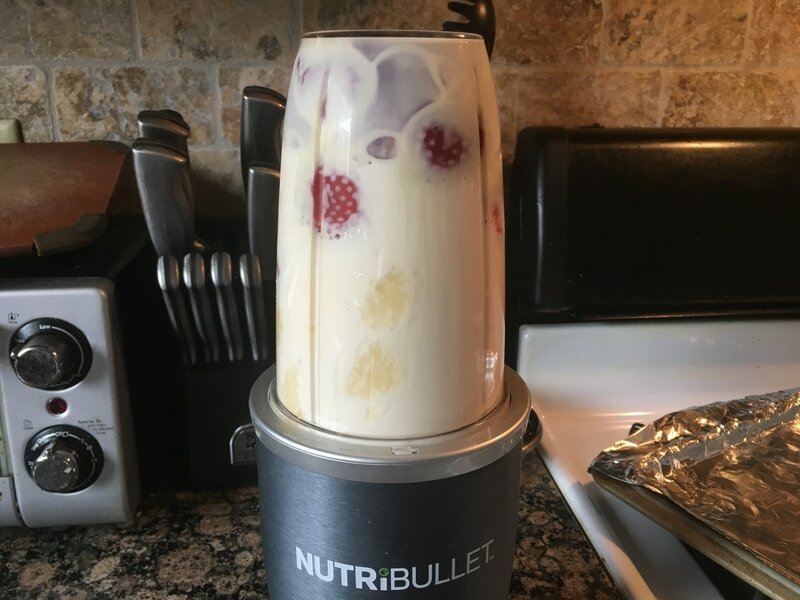 Blend ingredients together until smooth and enjoy! What do you think of this shake? 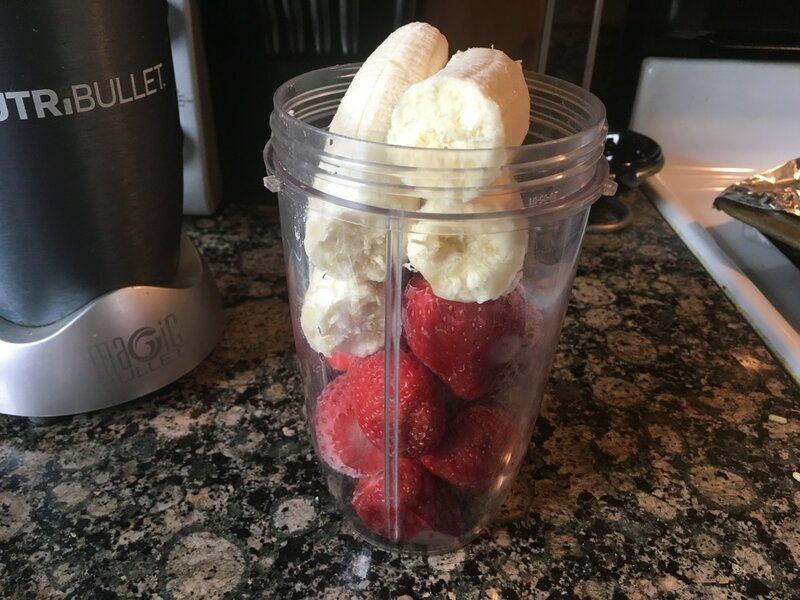 How do you make your strawberry banana shake?